MAHLE India, a technology driver for the mobility of the future, has established the MAHLE Engineering, MAHLE IT and Sales shared services Centre at Pune, Maharashtra. Built over 55,000 sq ft, this MAHLE Engineering, IT and Sales shared services Centre currently employs more than 450 engineers and technicians. Recognising the design and frugal engineering capabilities of Indian engineers, the company expects to double its strength over the next three to five years. With this, the MAHLE Engineering Centre becomes an integral part of the global MAHLE R&D network and thus opens up its services to all divisions of MAHLE, be it for conventional or electrified powertrain. This Engineering Centre supports systems such as SAP-PLM etc., and CAD applications such as Catia, UG, to name a few. This centre at Pune also becomes only the third Global IT and shared centre of MAHLE, the other centres being in Mexico and Poland. Raj Kalra, President, MAHLE Holding (India) Private Limited said, “As an engineering centre, this is a unique one. Worldwide, even though we have R&D centres for specific business units, this one will service the entire world from here itself, thus proving the ‘One MAHLE’ Global approach. 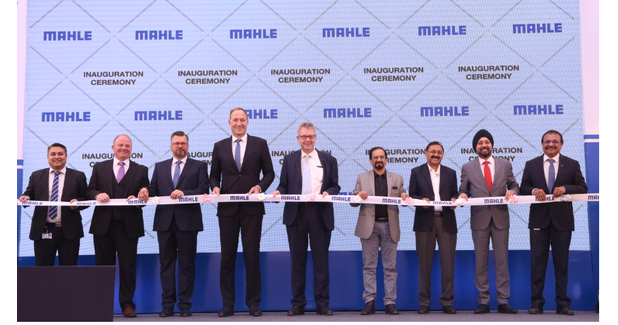 MAHLE already has a strong presence in India (represented by all 4 BUs/division through 14 plants generating €278 million and with HC of 4,400 employees), but we need to take it to next level. Therefore at the core of the organisation sits the shared services, supporting multiple locations globally.” MAHLE has greater ambitions for India, not just of a manufacturer but of a shared services provider as well. “Here in our own city Pune, we have an excellent team of engineers and specialists which is already engaged in design and development of new products using state-of-the-art computational techniques for simulation, CFD and design tools. The team is not only engaged in the development phase but also supports global customer programmes through its project management office and undertaking support functions such as sourcing, procurement and logistics. With this now fully integrated with the MAHLE R&D world, we are looking forward to undertake projects across all BUs and excited to lead in new areas such as Mechatronics, embedded software and firmware development,” added Kalra. Not long ago, India was not even appearing in the top 10 automotive producers in the world. The speed with which India climbed up the ranks is of particular importance to note and with increase in GDP, India is poised to become the 3rd largest market by 2030. MAHLE products are fitted in at least every second vehicle worldwide. For decades, MAHLE components and systems have also been used on the world’s racetracks and off the road – in stationary applications, for mobile machinery, rail transport, as well as marine applications. The MAHLE Group is committed to making transportation more efficient, more environment-friendly, and more comfortable by continuously optimising the combustion engine, driving forward the use of alternative fuels, and laying the foundation for the widespread acceptance and worldwide introduction of e-mobility. The plant will be geared to offer customised and world-class product solutions to customers in India. The company will deliver eco-friendly solutions meeting the upcoming emission regulation norms and address the menace of pollution, which is a concern in India.